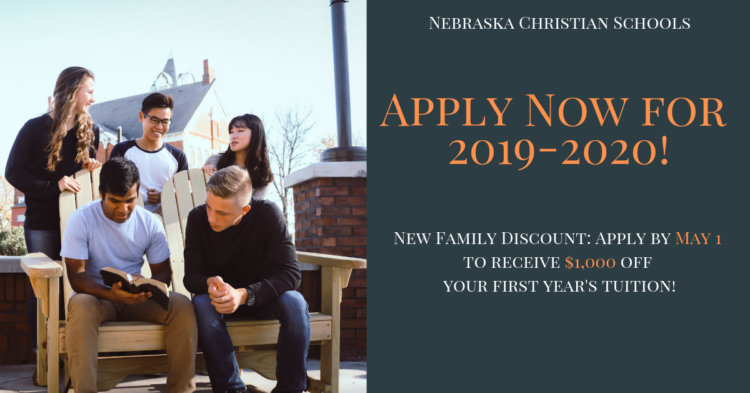 Nebraska Christian Schools is now taking applications for the 2019-2020 school year. New families who apply by May 1* and are accepted will receive $1,000 off of their first year’s tuition. Request information, schedule a visit, or apply here. *We will continue taking applications after the May 1 deadline. However, only those applications received by May 1 will be eligible for the $1,000 new family discount.